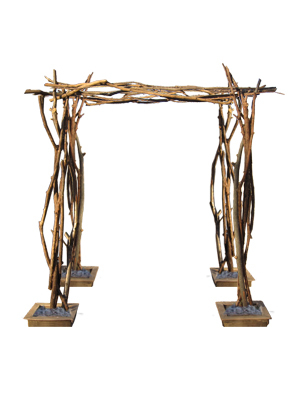 6 ft x 6 ft x 6.5 ft tall chuppah made of branches woven together. The perfect setting for a rustic ceremony. To see this chuppah used in a real wedding, check out our blog post!